Product prices and availability are accurate as of 2019-04-09 18:36:35 EDT and are subject to change. Any price and availability information displayed on http://www.amazon.com/ at the time of purchase will apply to the purchase of this product. WHISKS WATER OFF YOUR BODY. 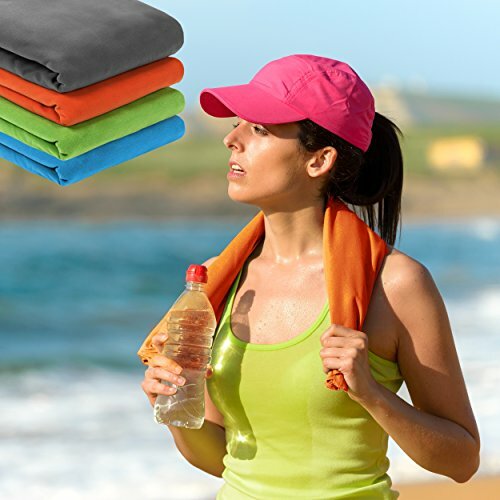 This ultra absorbent microfiber fabric gets you bone dry in seconds. Hang it up with the snap loop and it dries up to 4 times faster than a regular towel. Fast drying high performance! NOW YOU CAN CARRY LESS. Dump your 'fluffies' and save space. Large bath size 52" x 32" - weighs just 8oz! Packs into a small waterproof bag. 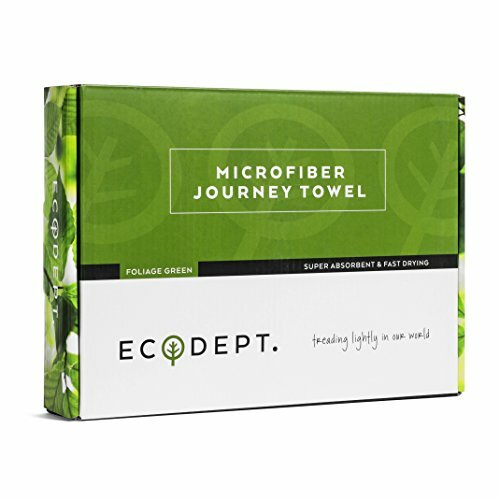 FREE extra matching hand/face/hair towel: 24" x 15" - Value $7.95. 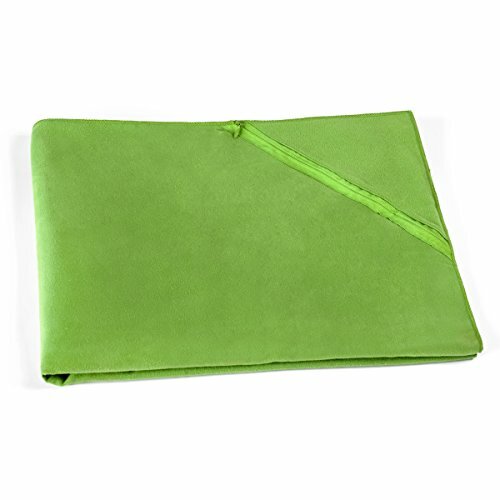 LUXURIOUS SUPER SOFT suede like feel of lightweight fabric - gentle on the skin. 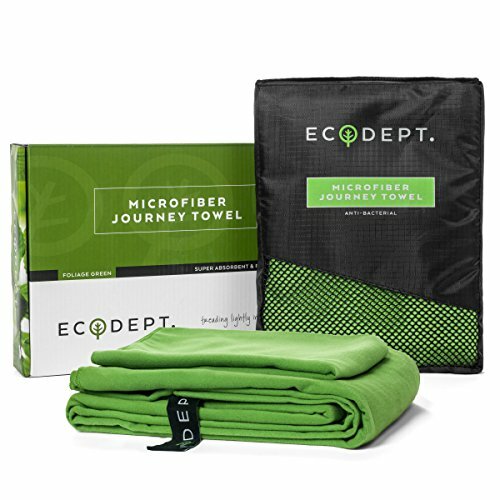 Genuine ANTIBACTERIAL microfiber that prevents odor and germs. 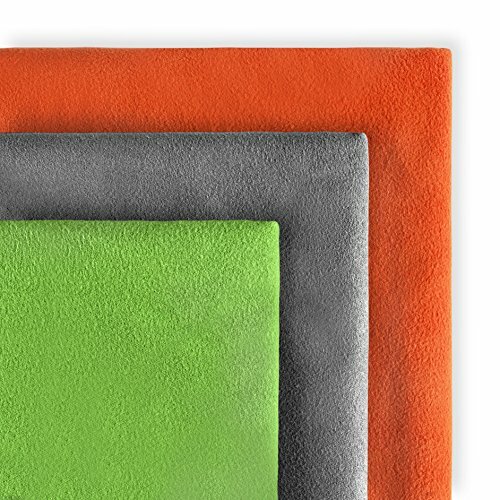 Available in 4 rich colors - green, blue, orange and gray. Perfect for OUTDOOR and ACTIVE LIFESTYLES, this towel will go anywhere and everywhere with you. Great for long or curley hair - no frizz! Essential gear for your backpack, sports bag or suitcase. 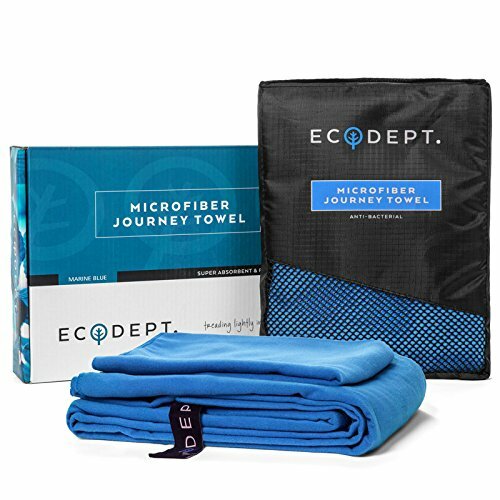 TOP performing microfiber towel set BEAUTIFULLY packaged and presented - a premium GIFT for travelers and adventurers. Limited Time Promo Code - 8JJ6YAX6 - takes 5% off if you order 2 or more today!